Come see how your donations to United Way of Norman make an impact in our community. Join us for an agency tour! We'll visit four of United Way of Norman's funded partners and witness the work they are doing to make our community as strong as it can be. The agencies visited will be Bridges, Food & Shelter, Full Circle and The Virtue Center. There is limited space available. Please fill out the form below to save your spot. 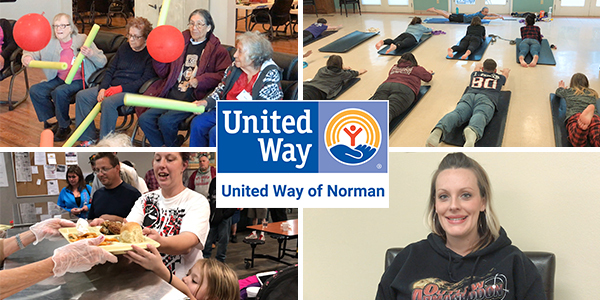 Call the United Way of Norman office at 405.329.2025 or email Daren Wilson at dwilson@unitedway-norman.org or Kathy Holder at kholder@unitedway-norman.org. Would you like to sign up multiple people for the Agency Tour?